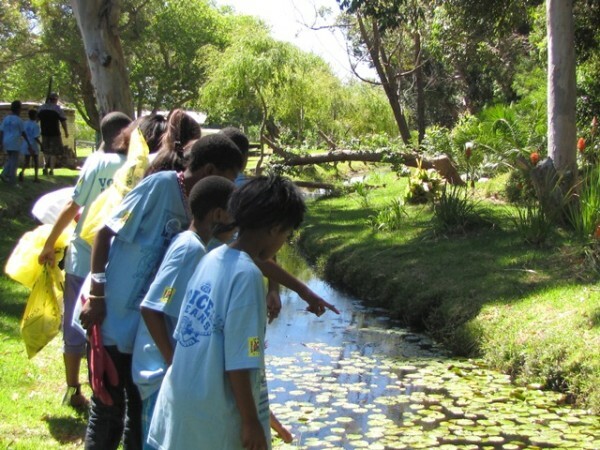 AFRIOCEANS WARRIORS CELEBRATE WORLD WETLANDS DAY! 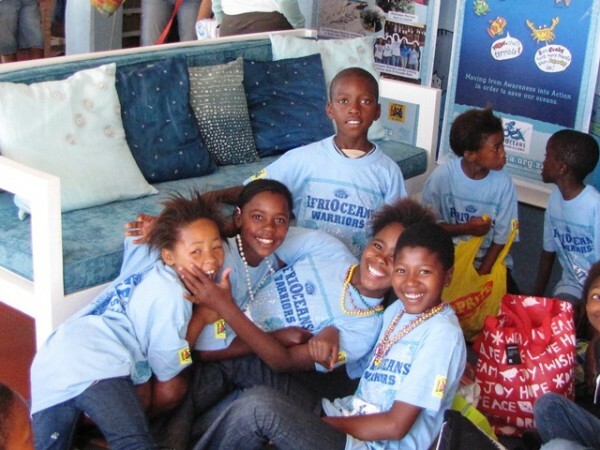 AfriOceans Warriors are off to a FLYING Start. 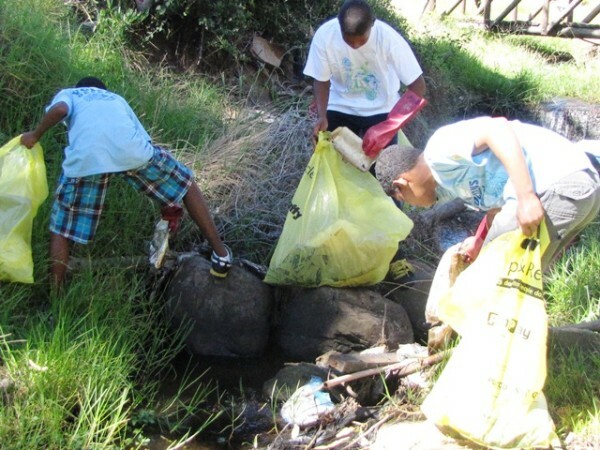 Not only have we established 3 Community Tribes, we have nearly all of our projected 20 schools onboard and have already helped organise and take part in 3 large riverine cleanups. As all rivers flow into the Oceans, everything is connected. 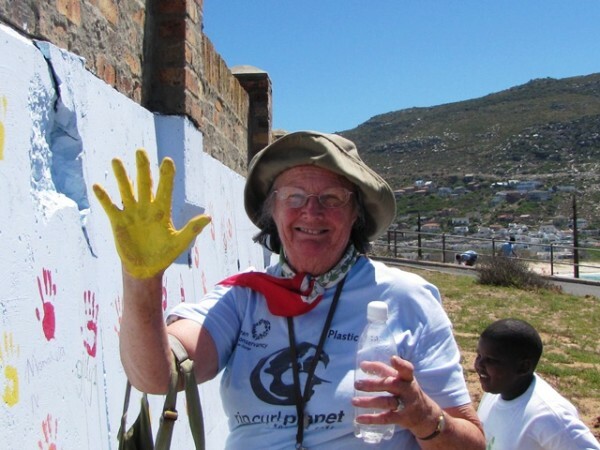 We have also established some great partnerships with other Ngo’s, have our new AWEsome bus and 4 new staff members – but more about that another time. 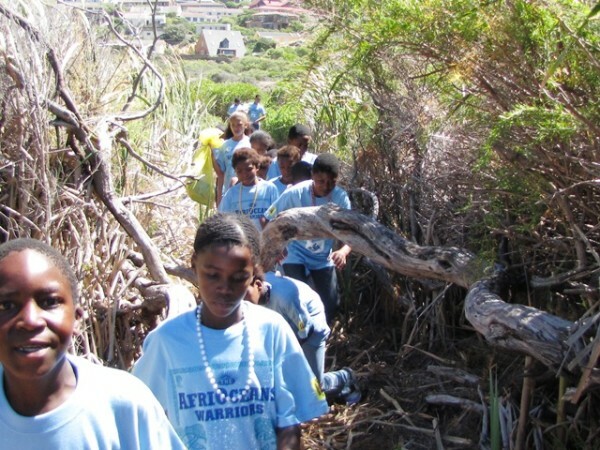 On Saturday 4 February, over 50 AfriOceans Warriors from Red Hill, Glencairn and Ocean View tribes joined hands with the GEESE environmental group and Creating Change. 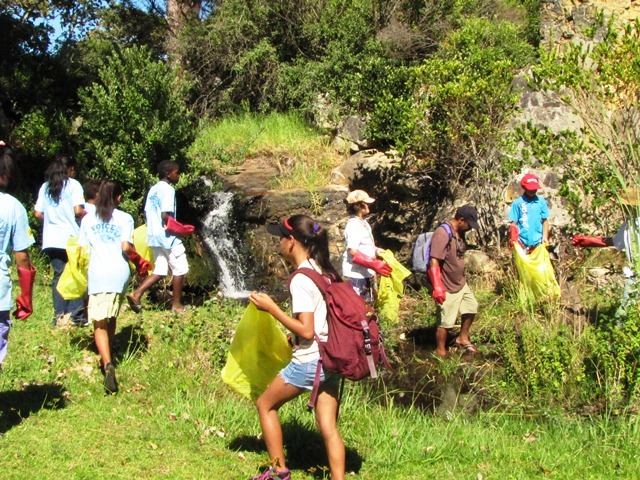 The result was an awesome Source to Ocean educational hike and cleanup. The kids got stuck in quickly and very soon they were calling for more bags. Over 100 bags, mostly of plastic was collected and removed from the river. It was great to see children from different tribes working together and taking action. Passing a particularly clean and beautiful stretch of river, a group of girls pointed excitedly as they spotted fish and frogs. They remarked that had never seen a clean river in their lives and now they knew what we meant. Their discovery went further as we noticed that those little fish were the last remaining population of the highly trhreatened galaxis zebratus, that according to scientists confirm the Gondwanaland theory. The kids realised that their cleanup efforts were meaningful, not only for the project but especially for those fish and they asked to return to clean some more soon. Music to the ears of an environmental educator. We walked through stands of alien gums, areas of riverine restoration, coastal fynbos, typha tunnels and finally wetland reeds as we reached the Glencairn Wetlands, Do you see why wetlands are important I asked. “Yes, because the filter out pollution, they hold back water in floods and they are a home to many different animals and plants” came the reply. When we reached the sea we all cheered in unison. 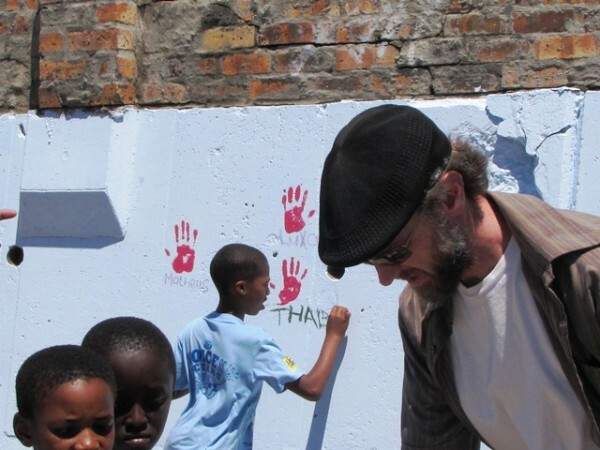 AfriOceans Warriors are awesome! 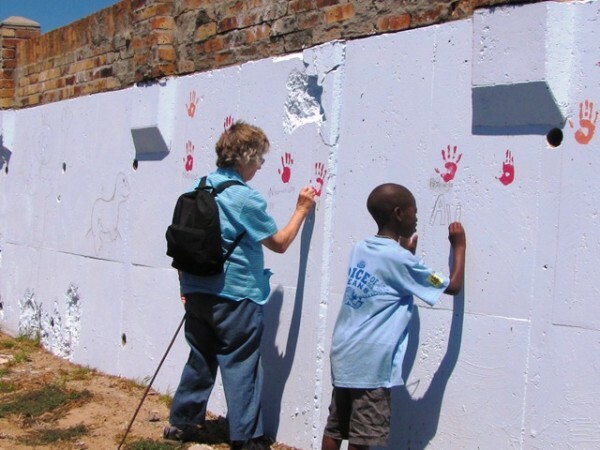 We walked to the last stop, our Glencairn rainbow mural where each one of us placed their painted hand, in the 7 colours of the rainbow, on the wall to demonstrate that we are making Handprints for Ocean Action. The whole mini expedition was filmed by film and editing team of Lesley and Nina and we look forward to seeing it featured on 50/50 shortly. Be an Awesome Warrior today!